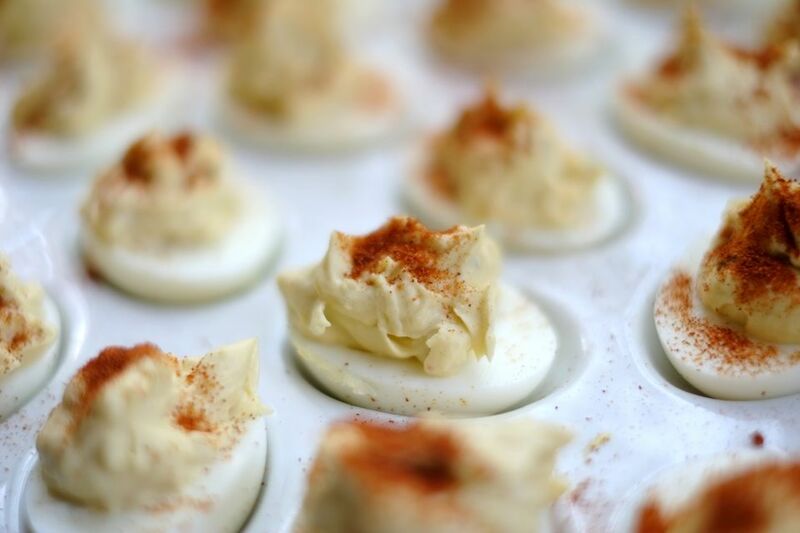 Far from the bland deviled eggs you find at some parties and family gatherings, these deviled eggs are full of flavor and texture. The secret is in the horseradish sauce, so don't skip it. Do take a few extra minutes to add a little garnish so they look as impressive as they taste. Great for low-carb diets. Slice hard-boiled eggs in half lengthwise. Remove egg yolks to a bowl, and set egg whites aside. Mash the egg yolks until crumbly. Add sweet onion, pickle relish, mayonnaise, horseradish sauce, mustard, and salt to taste. Mix until well-combined. Pipe or spoon into egg white halves. Garnish with paprika, olives, chives, parsley, and/or pimento. Chill before serving.